There is a new page on the website with up-to-date info. If circumstances change, this information will be updated. Are you following Inklingo on Facebook? You don’t have to have a Facebook account to see what I post there, but if you do, please check “Get Notificatons” and like and share my photos. More Inklingo Double Wedding Ring and a Winner! Why was my previous post removed? You said there was a threshold under the previous 2003 rules which is why I asked for a reference for this. Thanks. I am not in a position to advise you on any business’s status since 2003 or in which EU country any business should register. I would suggest you contact a lawyer about this, Luke. I’m afraid I can’t find anything that backs up what you’re saying regarding thresholds applying to non EU suppliers under the 2003 rules. Indeed, whilst some countries do have VAT thresholds many do not. I have to ask why you think the new EU VAT changes make any difference to you. They mainly affect EU based sellers. 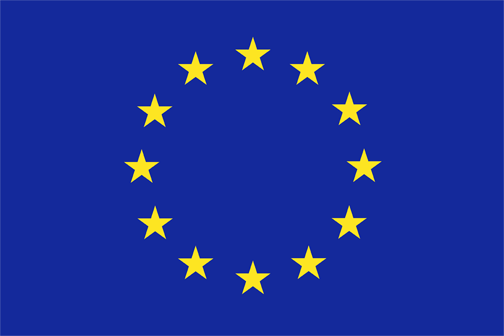 Suppliers of digital goods from outside the EU have been required to charge EU VAT in the customers country since 2003. Similar to VATMOSS, there was a special scheme for non EU sellers that allowed them to register in one country only. In the UK this scheme was called VoES. This system will be replaced by MOSS as they serve the same purpose, except all EU sellers now face the same problem. Seeing as you seem to think you are only now liable to charge EU VAT suggests you wasn’t aware of this. I bet many small non EU businessss didn’t. And those who did, I’m sure many ignored it for the last 12 years. So why worry now? I think understand your question, but under the rules since 2003, there was a minimum threshold for selling all kinds of goods to countries in the EU (e.g. 81,000 BP in UK). The new concern is that there is no threshold. Setting a threshold is common practice. For example, in Canada, as business is not required to register, collect and submit sales tax (similar to VAT) until gross sales reach $30,000. The businesses that are expressing concern now are ones which were not previously required to register because they did not meet the threshold, not businesses that were ignoring the law. I hope that sets your mind at ease. I am wondering why more online shops aren’t discussing the mini One Stop Shop [MOSS] option? It is for for non-EU-based sellers who are below the sales limit requirement to register for VAT. You charge all EU consumers the VAT rate of the country you registered your MOSS. That country is then responsible for transferring VAT monies to the other EU countries based on the quarterly online statement you submit. A third party company, Taxamo (taxamo.com) will collect the required verification (transaction will not go through if conflicting info), store it for ten years and submit your quarterly MOSS statements. They charge a small transaction fee for more than 20 transactions per month and their services can be integrated with PayPal and online shopping carts. I don’t know if this will help but there is an opinion in the UK that this will not apply if a pdf is e-mailed directly to the customer by the seller as a human intervention is required. If, subsequently, the buyer has to access the internet to complete the sale, this will be allowed, as would on-line tutoring. I am not sure if this is right but I suggest you read the pages on the hmrc website. According to some of the businesses here, hmrc has had a concession allowed for some downloads accessed from abroad. Thank you very much! I have been looking at this, but Inklingo PDFs are far too big to send by email. In order to avoid downloading, it would be necessary to mail a CD. 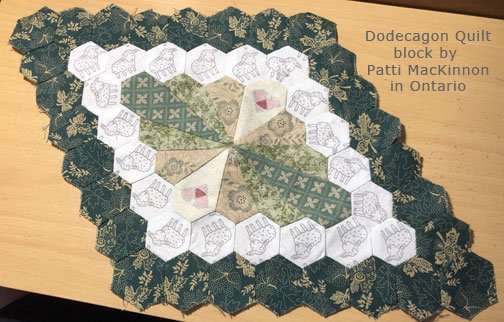 That could be an acceptable solution for quilters in the EU who are willing to pay a little extra + postage but it is probably only temporary because it looks as if the next phase of this law starting Jan 2016 will require collecting VAT on items that are mailed too. I appreciate you sending this info. The simplest solution would seem to be to set a minimum threshold, the way it has been in the past. For example, I have not had to register for VAT in the UK because my sales to the UK are less than 81,000 BP. If you hear anything else, please let me know. Happy New Year! Kirsten, thats true, I’ve also never heard this before, although the “ones” in Brussels do silly things, we knew this for years. In fact, it is very bad for Linda and all the other small businesses. Not only do I buy with Linda, I have also several subscriptions of digital quilting magazines which will not work from now on …. One little supply: It is very strange that we have not heard a word about this in the news, not newspapers, not television. This is the first time I hear about this law, and I follow things like that rather closely. I am so furious to hear abot this “new law and EU VAT”. I live in EU (Denmark) and I hate most of the silly laws they make down there in Brussels. I must say, that the VAT don’t goes up and down – here it has been steady for many many years (more than 20), and the VAT is 25 percent on EVERYTHING you buy. Milk, bread, diapers, medicin, books, newspapers, cars – you name it. But I simply do not understand, why they shall collect vat/tax on anything they have nothing to do with. If I visit Linda in Canada/California, and buy something directly, I don’t have to pay that tax. But I still have, if you post something to me. I so sorry about this. I have loved to buy nice things from small business’ online. Lots of patterns for knitting and crocheting and most of all Inklingo. It is my wish that those EU-nutheads in Brussels took care of something more serious e.g. stop the wars, take care of the fugitives, homeless, unemployed, stop the criminels from east-countries (east from here). But there will still be a solution, Linda: You can burn your Inklingo patterns on a cd and send them by snail-mail, like you did in the beginning. But for now I wish you a merry christmas and a happy newyear. Let’s see what happens in the future. It is hard to get a good answer on this, so we might have to wait a few months to see what happens. Right now, it sounds as if only “automatic” downloads which require no human intervention are subject to the tax. With that interpretation, if I mail a “kit” (printed fabric) and manually add a PDF to your account, VAT would not apply and you would be able to download without waiting for the kit to be delivered. However, if that interpretation is not correct, I would have to burn the copy protected version of the PDF onto a CD and mail it to the quilter. She would then copy the info from the CD onto her computer, get online, and go through the normal steps to open. The downloading would be completely eliminated, but so would the convenience and instant access. 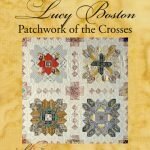 I am hoping to provide a better experience for quilters by providing the kits. There are tens of thousands of small business people like me who are hoping and praying that there will be a simpler answer, like a threshold sales level. For example, in Canada businesses are not required to register and submit sales tax until sales are $30,000 or more. It is just common sense that a business that is smaller than that cannot deal with the same accounting burden that a larger business can. That is the least they can do. On the other hand, even with a threshold, it is still a bad law because it shifts a burden onto the seller outside of the EU to act as collection agent—with no vote in the matter and no compensation for a significant expense. Thank you for your support. 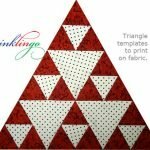 I am glad you are an Inklingo quilter! As an EU user I am saddened by this development, though not surprised as there has been mention of it in our press. Thank you for working out a solution for us. Will we still be able to download with our kit or will you need to send a disc or similar? What an accounting and software program nightmare! From what I have read about the EU VAT law, the rate fluctuates up and down. As a business owner, I would hate to know this was part of what I had to encounter every day with every transaction of whatever goods or services my company sold. Yes, it is beyond complicated! What are they thinking? As if things are not bad enough everywhere on this planet to then penalize small business’ like this is simply unconscionable! I don’t live in the EU, rather the United States but this hurts us all in unseen ways, and especially your business Linda. I am so sorry this is hurting you directly! I love Inklingo and wouldn’t know what to do without it now that I am addicted to such a fabulous product. It does sound like you have a way to work it however, with kits instead. I have an accounting degree, don’t use it, long story… and I know what a nightmare it would be to collect taxes for 28 different countries. Small business just can’t do things that complex and still be able to be creative and have fun with their business. 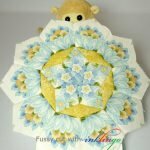 Hang in there my quilting sister!!! This sort of thing, like US sales tax and the EU VAT tax are just the politicians with their hands in the people’s pocket yet again. They are chopping at the bit just waiting for all this extra tax money to poor in. 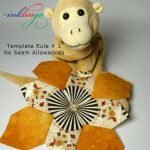 I have an on-line sewing pattern business and so far it hasn’t become law, but states have been pushing for years now that on-line sellers have to collect and distribute sales tax for each state AND county AND city that collects a sales tax. About 400 in all and that doesn’t include any foreign transactions VAT! How they expect a small seller to be able to afford the bookkeeping staff to figure this all out is beyond laughable. Many on line sellers, myself included, if the sales tax law comes into effect for a business as small as mine, we will have to close up shop. Sorry politicians, no extra money for you and all the people that lost their businesses are going to vote the bozos out of Congress and the Senate that passed the bill, the first chance we get. What they seem to forget, at least with the sales tax thing here, is that for many of us, our on-line stores help us to earn enough to make disability checks stretch, to keep our income at a point where we have to pay income taxes that adds to the coffers. We don’t need to go on welfare or apply for food stamps and all the other tax funded help for poor people. 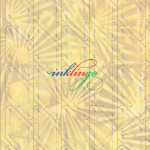 One of the reasons that I have not yet been able to buy the Inklingo package that I want to is I can’t yet afford it. So how would our personal and countrywide economy do better if the rules change so that 10,000’s of small sellers have to close up shop? It is ridiculous. I’m sorry that you have to go through this Linda. It is a pain in the neck that you shouldn’t have to go through. Linda, I am so sorry to hear about the trouble for all the wonderful small businesses I love and for all the people in those EU countries affected. Looks like you have come up with a workable solution. Thank you for all you do and have done for years for the quilting community. Boo, not good for your business or for my cyber friends in Europe. Can we buy something for them and somehow get it to them?